A new GT racer we have not given a mention to yet is BMW’s competition version of the Z4 M Coupé, which was presented at the Geneva Salon in February. 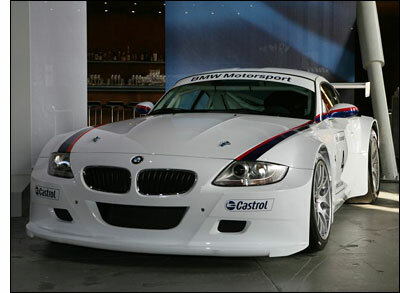 Built to the Nürburgring 24 Hours regulations, the car is BMW’s first two-seater racecar for customers since the M1 of the late 1970s. The 3.2l coupé will be sold in kit form for a cool € 250,000 plus VAT – please see the technical specs below for what this money will buy you. Performance is given as “approx. 400bhp”, or depending on whom you ask, more like 420bhp at the moment. 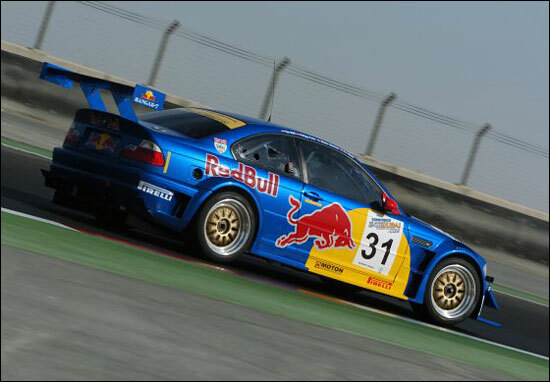 Although the BMW Motorsport engineers had plenty of knowledge from the M3 GTR project to fall back on, development of this new car only started last December; officially available as of May, delivery dates have already been pushed back due to the healthy interest in the new car by loyal BMW teams looking to replace their E46-based M3 racers, and others for whom this car is an alternative to other factory-engineered customer racecars (think: Porsche). The very prototype presented in Geneva will be seeing some racing action in the second half of the year, in the hands of Austria’s Duller Motorsport. “This project gives me a certain pride because it is also BMW Motorsport's acknowledgement of the success we have had over the last few years”, says team manager Hermann Duller, whose distinctive blue BMWs are seen in endurance races on just about every continent throughout the year. Long time factory driver Dieter Quester was once again instrumental in putting this deal together, and is also “mighty happy about this new project; I am certain we have made the right decision with regard to the endurance racing activities we have planned”. For now, the new Red Bull livery only exists in the computer, and the car will definitely not be ready for the Nürburgring 24 Hours; its debut has been postponed to the 24 Hours of Spa-Francorchamps on July 29/30, where it will run in the G2 class. On the ‘Ring, drivers Dieter Quester, Hans-Joachim Stuck, and Philipp Peter once more rely on the trusty M3 GTR that was so competitive until an early morning accident last year, and has already won the inaugural 24 hour race at Dubai in January. Hans Stuck will be racing with the Duller team whenever his commitments for the factory allow. The three will be joined by Artur Deutgen on the Nürburgring, and Quester’s Daytona team-mate Dirk Werner at Spa. Engine Management System BMW Motorsport ECU406 with two powerful microprocessors, Ethernet Interface and four CAN busses; Cylinder selective optimized Injection and Ignition; Pit-Speed-Limiter; Quick-Shift; Engine Log Book; Electronic Throttle Control; VANOS Control; Race ABS; Traction Control. 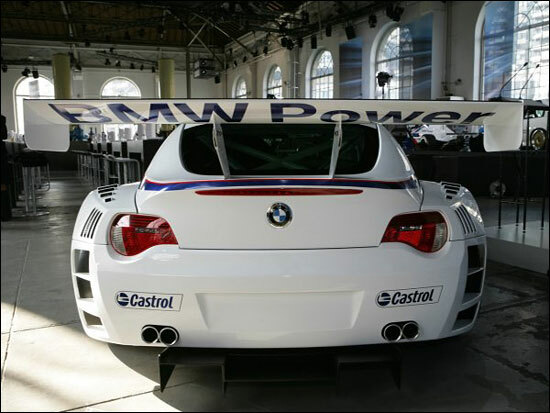 Energy Management: Distribution and Control of the electric energy through the BMW Motorsport POWER400 Control Unit; Networking of all Sensors and Actuators through a CAN Bus. Ignition coils: Six high performance pencil-type ignition coils with integrated ignition driver. Steering-wheel: multiple function Steering-wheel with Quick-Release mechanism and display control.